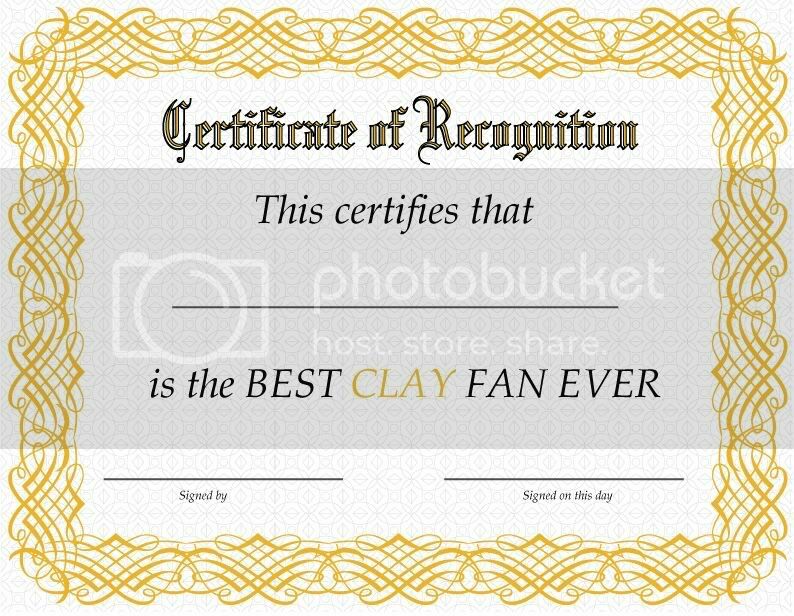 Do you have a friend who is crazy about Clay Aiken? Looking for a unique gift for them? I just created this certificate in Illustrator. You can download the PDF version (1.3 Mg), print it, fill it in and give it to 'em. (the certificate I mean). Gorgeous collage. I had to right-click and save that baby.